In 1964, when Rayola Running Crane was just 13, her parents sent her away from her home in Browning, Mont., on the Blackfeet Indian Reservation. She and her friends were drinking a lot. She had already been in an alcohol-related car accident that caused permanent back injuries. She says her parents gave her two options: Go live with her brother in San Francisco or go to a boarding school in Oklahoma. “They didn’t want me to lose my life to drugs and alcohol,” she says. It was the beginning of Running Crane’s long experience fighting substance abuse on the reservation, which is located in far northwestern Montana, bordering on Canada. In 1979, five years after Running Crane had returned to Browning, her 4-year-old son was killed in an accidental shooting while on a vacation with his grandparents in Nebraska. He had gone over to a friend’s house to play, Running Crane says. The child’s parents had gone to a bar for the day, leaving the children unattended. A 10-year-old at the home found a loaded .44-caliber Magnum and shot her son. “I had to go identify him,” she says. Running Crane says she became a full-blown alcoholic for the next six years, until she moved back to California and gained sobriety. But, in 1993, her mother became ill and Running Crane, by this time in her early 40s, returned to the reservation with another son, who was 7. Life on the reservation hadn’t changed much in her absence, and as the years went by, the rampant alcoholism and drug abuse there didn’t change, either. Running Crane’s modest house, in a neighborhood of identical homes, feels like an oasis on the Blackfeet Reservation. Outside, mangy dogs roam the streets of Browning and trash piles up three feet high on the windward sides of chain-link fences. For years, unemployment has hovered at about 69 percent—nearly 20 times higher than the 3.6 percent average in Montana. The population suffers with chronically high rates of poverty and DUI arrests. Inside Running Crane’s home, everything is in its place. There are fresh-cut flowers in a vase on the table—a testament to her sunny disposition—and a huge pot of ground beef on the stove for the Indian tacos she’s keeping warm for a party later on. Running Crane says she has been sober for 21 years. She’s tried to improve her community, she says, by talking to people about Christianity and 12-step programs, the things that helped her get away from drugs and alcohol. She’s seen little impact. But on one recent night, Running Crane was excited about a new possibility for helping her people: Scientology, and the books, ideas and alcohol- and drug-treatment programs developed by the religion’s controversial founder, L. Ron Hubbard. “I think our reservation lost a lot of its morals and values, and I think this would be a way to bring happiness back to the reservation,” she says. In February, the Scientology emissaries were at the center of an even more surprising exchange in Browning. They secured for Hubbard one of the tribe’s highest honors: a Blackfeet war bonnet, typically awarded to war heroes. Now, the L. Ron Hubbard Museum in Hollywood, Calif., has a Blackfeet war bonnet, too. 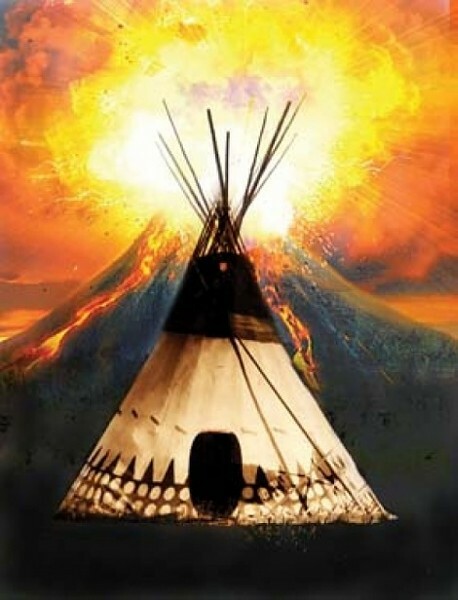 The story of Hubbard and the Blackfeet is one that’s been told for years. According to official Scientology biographies, Hubbard, born in 1911, spent a short time on his grandparents’ Kalispell ranch when he was a boy. During that time, he claimed to have befriended a Blackfeet medicine man named “Old Tom” who taught him tribal lore and made him a “blood brother” in a special ceremony. Parts of Hubbard’s biography don’t hold up under scrutiny, according to historians and researchers. Tribal enrollment records from that era contain no “Old Tom,” historians say. Christian names were not used among the Blackfeet of that time period, and the Blackfeet never had a blood-brother ceremony. Other parts of Hubbard’s life story invite similar skepticism. Navy records belie Hubbard’s claims to having been a World War II hero; school records belie his claim to being a nuclear physicist. Hubbard’s chief verifiable accomplishments appear to be the dozens of Westerns, science-fiction and other novels he wrote. In 1950, he also penned Dianetics: The Modern Science of Mental Health, a self-help book that he used four years later to found his religion. Scientology essentially holds that humans are hampered and harmed by negative experiences from present and past lives, and that people can begin to “clear” themselves of this baggage by being “audited.” Auditing involves giving a confession of sorts to a Scientology counselor while being connected to an E-meter, a device that, according to followers, measures electrical currents in the body and acts as a type of lie detector, helping auditors zero in on psychic troubles. Through auditing, Scientologists rise to ever-higher spiritual levels in the religion, paying donations—in the form of fees or work—in order to advance. In order to reach the highest levels and become what’s known as “Operating Thetans,” Scientologists can spend tens of thousands or hundreds of thousands of dollars, according to news accounts. Controversies about this and other Scientology matters have kept the religion in the spotlight for decades. In the early 1980s, 11 of the church’s high-ranking officials, including Hubbard’s wife, went to prison for what federal prosecutors said was a conspiracy to infiltrate government agencies. The rogue elements were purged from the church, Scientologists say. But in 1995, a disgruntled former Scientologist posted documents on the Internet that described stories previously only revealed to high-level church members, inspiring more negative publicity. According to the documents, contents of which were published in the Washington Post, Hubbard thought that human suffering on Earth is rooted in an incident 75 million years ago, when Xenu, the dictator of an intergalactic confederacy, decided his part of the galaxy had become overcrowded. With the help of psychiatrists, Xenu brought billions of people together, froze them, flew them to Earth in spaceships, stacked them around volcanoes, and blew them up with hydrogen bombs. He then brainwashed their souls, which have since become attached to our bodies, and are the source of our woes. Scientologists have alternately denied that the Xenu story reflects their beliefs, or have said that the story is taken out of context. Aside from news stories, Scientology also maintains a high media profile through celebrity members such as Tom Cruise, John Travolta and Kelly Preston, to name a few. It claims to have millions of members in the United States, although a 2001 survey by the City University of New York pegs its membership closer to 55,000.